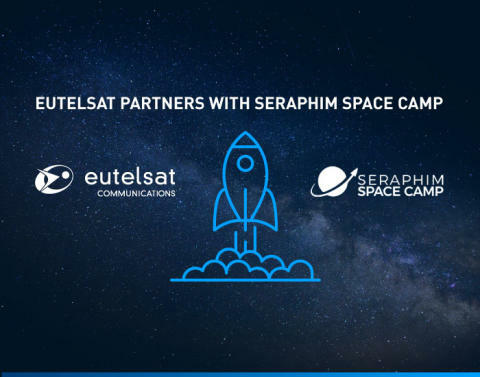 London, Paris, 4 April 2019 - Eutelsat Communications (Euronext Paris: ETL) is set to become a partner of Seraphim Space Camp, the UK's first accelerator for space technology start-ups. Launched by Seraphim Capital, the world’s leading SpaceTech venture fund, Seraphim Space Camp was created a year ago in London. Eutelsat will join the likes of the European Space Agency, Rolls-Royce, and Airbus in supporting the 3rd edition of the Seraphim Space Camp programme. Over the course of 9 weeks, the selected startups will have their businesses accelerated to become investment ready and to achieve commercial scale, receiving assistance with fund-raising, business and commercial advice, individual coaching and mentoring opportunities, as well as access to Seraphim Space Camp’s industry network. Eutelsat will be feeding into this ecosystem by actively engaging and providing its satellite expertise and space heritage to those participating start-ups, thus gaining exposure to a range of technological innovations which could support its future growth. 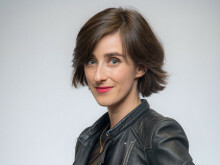 Taking a “VC-mindset” approach to the accelerator concept, the founders of Space Camp believe that investment readiness should be a prerequisite for companies’ participation in the programme, not the endgame. Space Camp is creating an ecosystem and community support network to ensure that participating start-ups are equipped to maintain their accelerated growth beyond the completion of the programme, providing mentoring from more established companies from the Seraphim Capital portfolio, opportunities to work with invested corporate partners on proof-of-concepts and other technology integrations, and ongoing access to facilities and resources in locations around the world. Founded in 1977, Eutelsat Communications is one of the world's leading satellite operators. With a global fleet of satellites and associated ground infrastructure, Eutelsat enables clients across Video, Data, Government, Fixed and Mobile Broadband markets to communicate effectively to their customers, irrespective of their location. Over 7,000 television channels operated by leading media groups are broadcast by Eutelsat to one billion viewers equipped for DTH reception or connected to terrestrial networks. Headquartered in Paris, with offices and teleports around the globe, Eutelsat assembles 1,000 men and women from 46 countries who are dedicated to delivering the highest quality of service.